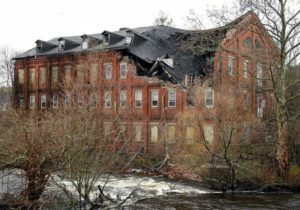 Demolition work is about to begin on parts of the former Beech-Nut factory in Canajoharie, New York. The work is planned to begin on Monday, December 16th according to the demolition company’s president. 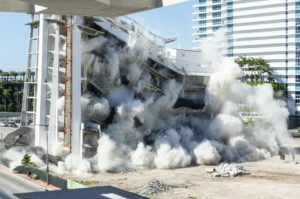 Bob Hunt, president of Scottsdale, Arizona based Great Western Steel Co., said his company was hired by owner TD Development LLC “to guide them through demolition, remediation, construction and possible sale or lease” of the property. Great Western Steel specializes in salvaging and converting old factory buildings in preparation for to market the property for either via sale or lease. In cases where they’re beyond saving, the company demolishes the buildings, recycling building materials and remediation of asbestos, lead paint, ground contamination and other hazards at the site. The eastern portion of the factory will likely be demolished, and warehouses on the property will be renovated with new bay doors and loading docks. Part of the 851,000-square-foot complex is close to the Thruway ramp and will be demolished to give trucks more room to maneuver at the 24-acre site. Crews are expected to be on-site for about six months. Recently Beech-Nut Nutrition Corp. sold its 114-year-old former factory in downtown Canajoharie. 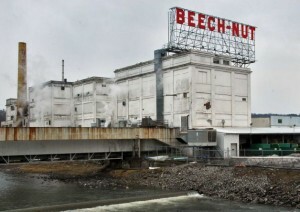 The factory had served as a baby food manufacturing site until 2011 when Beech-Nut shut down the operation after moving to a new $124 million factory about 20 miles away in the town of Florida.